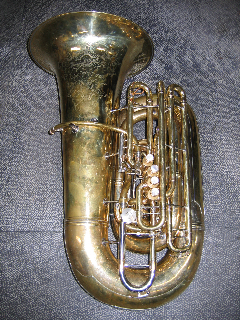 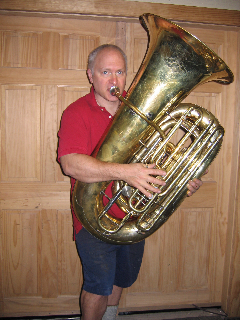 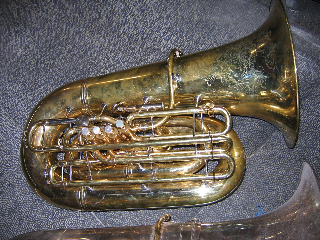 In the first set of photos, Martin started with a 3-valve, top-action BBb 6/4 tuba and a damaged bell. 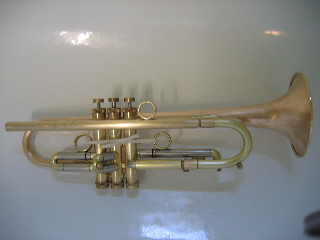 He transformed it into a 5-valve, side-action horn with entirely removable valve section. 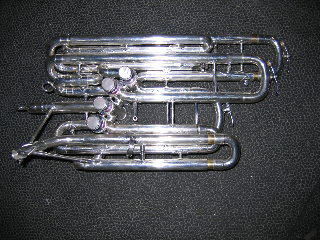 In the next set of photos, Martin started with a Buescher BBb helicon. 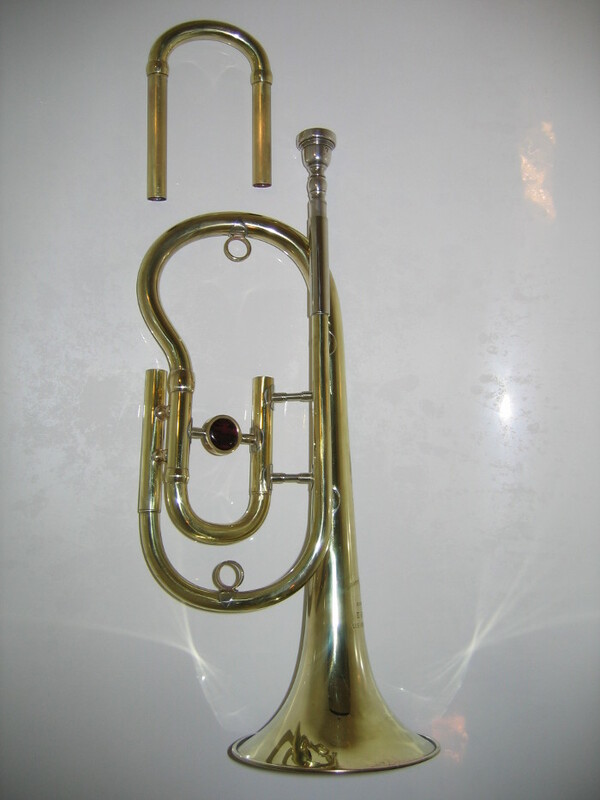 He overhauled the horn and made the valve section and bell removable for cleaning and portability. 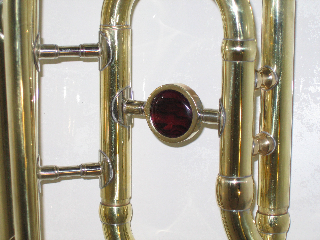 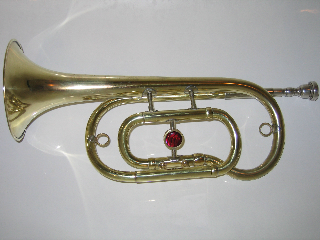 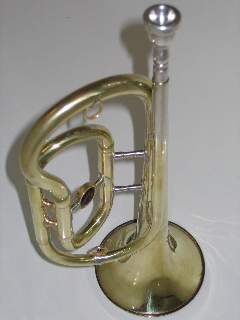 Martin started with a Benge cornet bell, and made a custom tunable Bb bugle with a red paua shell medallion. 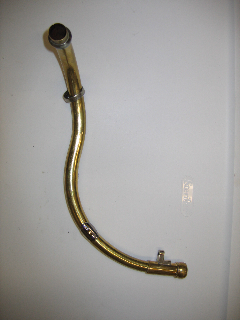 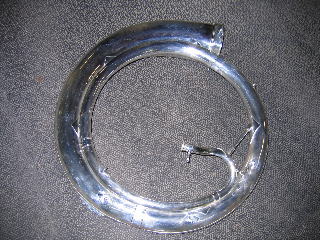 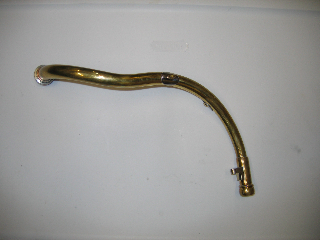 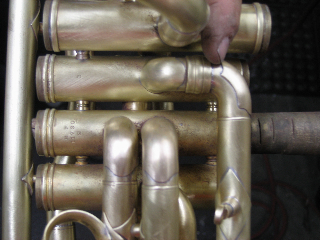 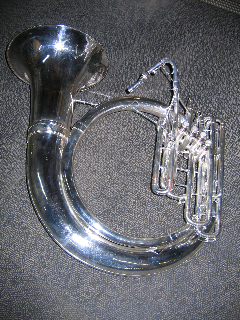 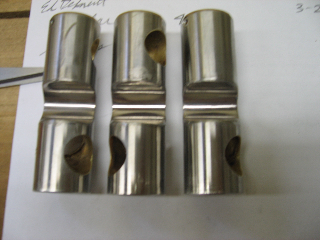 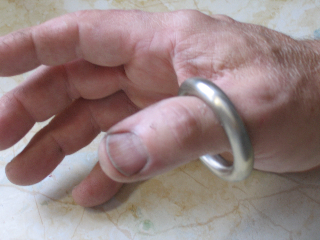 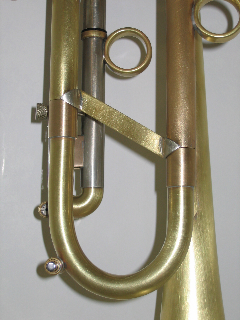 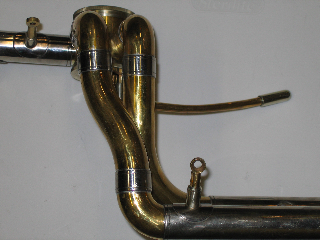 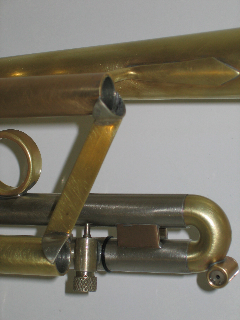 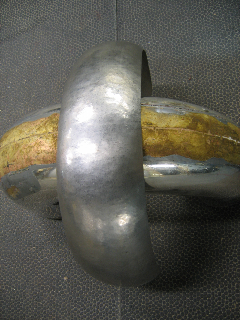 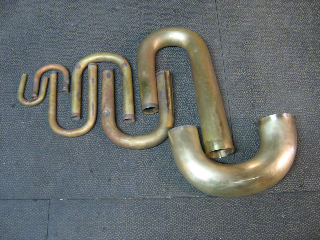 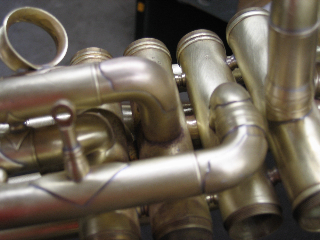 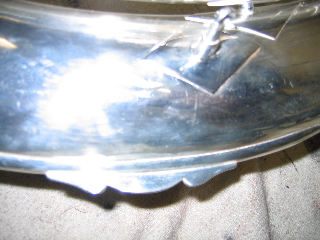 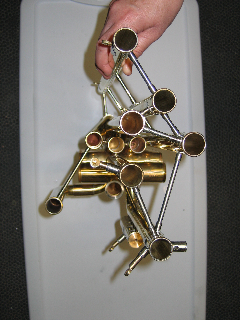 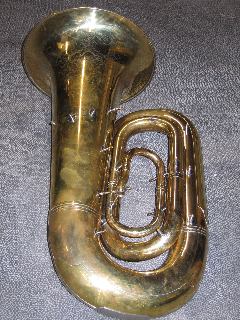 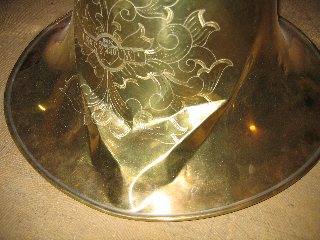 One: Add a tuning slide brace in the style of the horn. 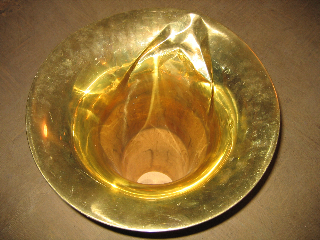 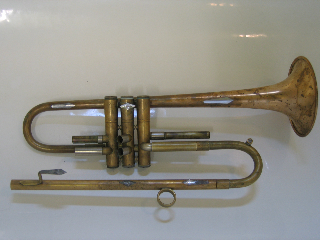 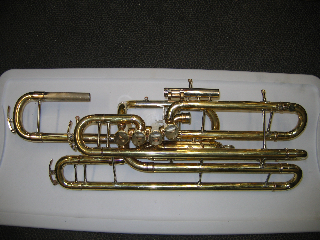 Two: Overhaul a Taylor Trumpet. 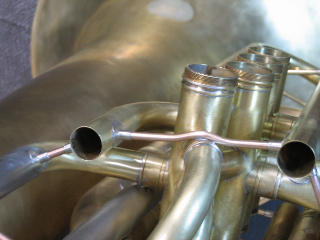 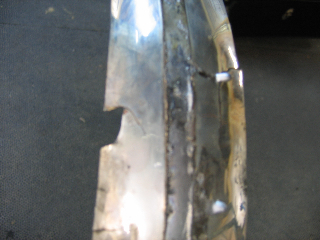 For these parts that were too far gone, Martin fabricated new parts and patches. 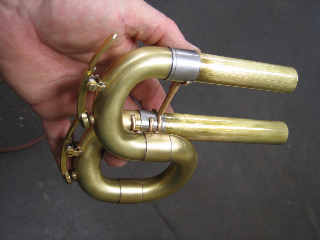 Martin creates a wide range of clever and beautiful solutions.